NASHVILLE, Tenn., May 2, 2011 (SEND2PRESS NEWSWIRE) — Hospitals find they can pay less at time of acquisition, save money while in use and cut their replacement costs by as much as one third with ETL Listed LED TV products now available from Imagenable, LLC. Architects and designers are praising the move to stylish, light weight, super thin LED TVs from Imagenable, LLC. Facilities striving for LEED certification gain great value from lowered power consumption and extended lamp life of LED televisions. At only 1.6 inch thick LED TVs can be decoratively placed and even with mount, be within ADA Accessibility Guides. The LED TVs are mercury free, run cooler and use up half the energy of most standard LCD TV products. So, the benefits are lower costs, less waste and more efficient products. The earth, the manufacturer and the consumer benefit. Only Imagenable, LLC offers to hospitals and dealers a complete offering of Energy Star 4.1 rated LED/LCD TVs for healthcare. 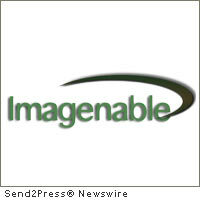 Imagenable, LLC is a healthcare television services integrator and TV distributor. Imagenable products include: ETL Listed standard and LED televisions featuring SureControl technology from Paradigm Multimedia; Dialysis and Cancer care TV products with Internet apps including YouTube, Facebook, Twitter and Yahoo widgets, and cost effective educational and Hollywood Video on Demand. Original Keywords: Richard Bray, ETL Listed LED TV products, Architects and designers, extended lamp life of LED televisions, healthcare, facilities, hospital, mounted, wall-mount, energy efficient, green, electronics, Tennessee business news, ADA Accessibility Guides, LED TVs, SureControl technology from Paradigm Multimedia Imagenable, LLC Nashville Tennessee NASHVILLE, Tenn.
REFERENCES: Construction and Building News, Richard Bray, ETL Listed LED TV products, Architects and designers, extended lamp life of LED televisions, healthcare, facilities, hospital, mounted, wall-mount, energy efficient, green, electronics, Tennessee business news, ADA Accessibility Guides, LED TVs, SureControl technology from Paradigm Multimedia Imagenable, LLC Nashville Tennessee NASHVILLE, Tenn.